The upcoming The Order: 1886 is an eagerly awaited third person action game, which will be released exclusively for Sony’s PS4 console. And as the clock ticks down to the game’s release date on Friday the 20th of February, you can sate your appetite for the game by watching the game’s “conspiracy” trailer below. This Sony PS4 exclusive has a Victorian atmosphere reminiscent of 2012’s Dishonored and will provide a “filmic look” according to developer Ready at Dawn. And if one thing is clear, is that the cinematic flair in the trailer is undeniable. 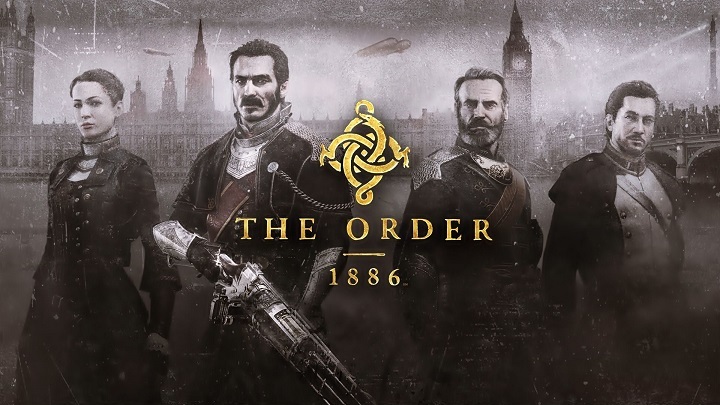 The Order: 1886 takes place in an alternate history London, a dark Victorian world featuring iconic buildings such as the Palace of Westminster and giant airships such as the one seen in the trailer, according to gaming website Dualshockers. It will also boast cutting-edge visuals which will make the most of Sony’s PS4 new-gen hardware. The Order: 1886 has also been controversial due to its graphic, violent content (hint: the shotgun has deadly effects on enemies). And unlike many of the AAA games released these days, which are open-world games, The Order: 1886 will be a linear game. Many in the gaming press have raised their voices against this upcoming PS4 exclusive, criticizing its gameplay and the fact that it will simply be a linear game and not open-world. And sadly the game won’t offer any multiplayer modes as it will also be single player only. There’s also been a fair bit of controversy regarding the game’s length. A YouTube user played through the game in just 5 hours, and claimed that about half of that was taken up by cutscenes. But it must be pointed out that this user in question did what is known as a “speedrun” of the game, in other words he rushed through it. But compare The Order: 1886 to a sumptuous banquet – would you wolf it down? Like a delicious meal, you would take your time and explore the game’s detailed Victorian world, taking it in slowly and enjoying the details. And even if The Order: 1886 is not an open world game delivering hundreds of hours of gameplay and doesn’t have much replay value, it will still be worth it if it can deliver a focused and high quality gameplay experience. Note: The Order: 1886 will be released on February 20, 2015 in North America and Europe. Although only PS4 owners will get to enjoy the pleasure of fighting undead creatures in Victorian London, as the game will only be released for Sony’s console.